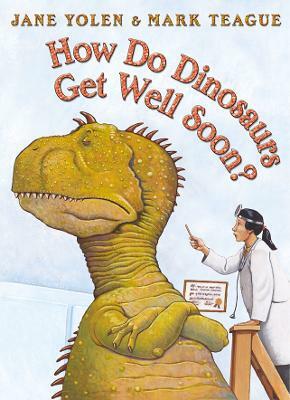 A playful peek into the homes of poorly dinosaurs 'What if a dinosaur catches the flu? Does he whimper and whine in between each Atchoo?' Most certainly not! Dinosaurs get lots of juice and rest . They use hankies, take their medicine and are well-behaved at the doctor's! Brimming with humour and familiar antics, here is a playful peek into the homes of poorly dinosaur children and their parents. Mark Teague uses a variety of perspectives in his dramatic, full-page pictures of tyrannosaurus rexes, triceratopses, and pteranodons. Jane Yolen has written more than two hundred books for children and adults and is the winner of many presitigious awards in the US, including the Caldecott Medal.